Free event! No ticket needed. A whole new collection of dumpster-dived art awaits at the February edition of the MISSION B.A.G. (Bad Art Gallery). Hilarious catalog notes, paintings curated from only the finest flea markets, thrift stores and back alleys. 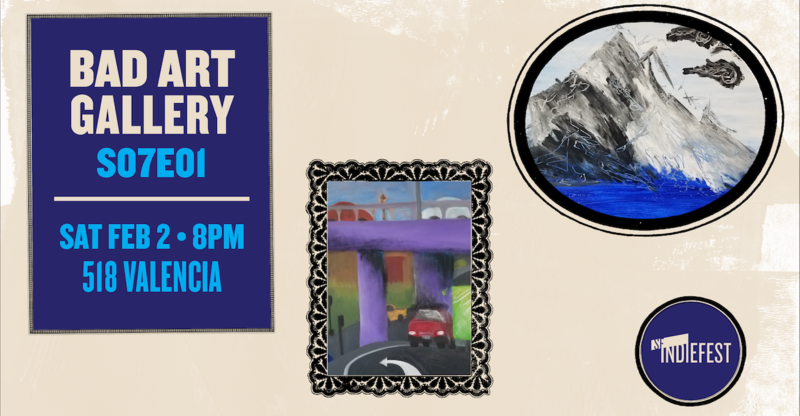 Please join us for tasty beverages, groovy music and bad art! A 21up event. Check out our entire collection, seven years worth of gallery shows!